I noticed water dripping from my roof and yet it is a beautiful sunny day. 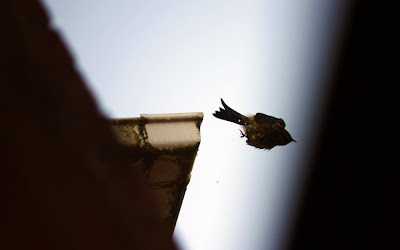 When I looked up I saw this little fellow have a lovely bath in my gutter. The camera was on hand, but he flew away. Made me smile though.